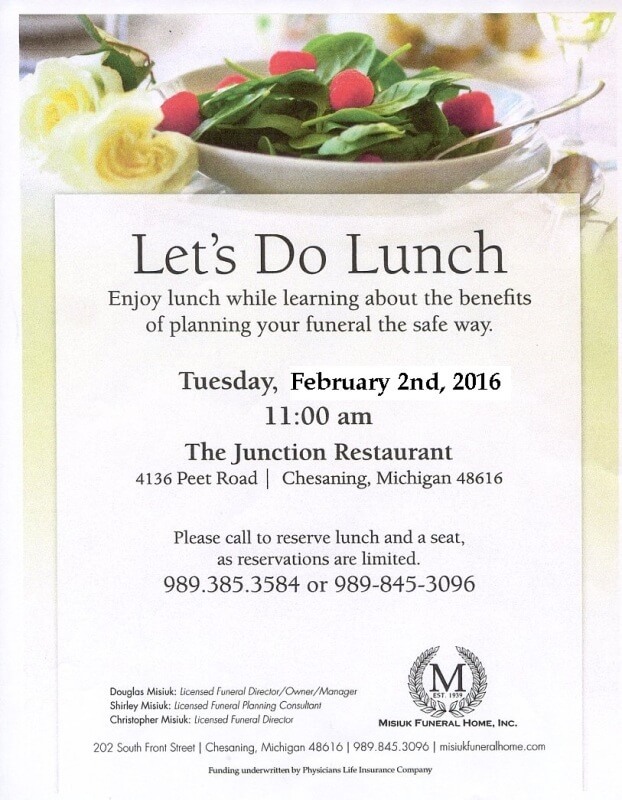 Misiuk Funeral Home offers Lunch and Learn seminars to help families learn the benefits of planning their funeral the safe way. There is a short presentation followed by a question and answer session. This is your chance to ask any questions you may have regarding pre-planning and the potential benefits for your family. 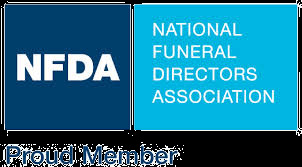 Our educational and informative seminars will bring peace of mind as you learn what affordable options are available, and if you are a veteran, what benefits you are entitled to receive. Friends and family are encouraged to come and there is no cost to attend. Please call us at 989-385-3584 to reserve your spot.